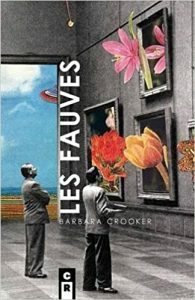 In Les Fauves, Barbara Crooker gracefully achieves the daunting task of creating ekphrastic poetry that transcends the purely visual. Compact explorations of meditative beauty, the poems highlight Crooker’s remarkable craftsmanship and skill. She is adept at coaxing the reader to the center of her poems where they sizzle and pop, blooming open like an Asian flowering tea. Acutely aware of using all five senses in poetry writing, Crooker infuses her poems with scent, sound, color, taste, and texture until they become epitomes of new language: “Dark violet chocolate // with a greenish flesh, blood-red pulp, / it opened with a thumbprint’s thrust. / The seeds embroidered our teeth / / / my mouth filled with fruit and new syllables” (19). Crooker weaves a full, colorful life to arrive at the magical place between description and intimacy. She invites the reader into intense emotional connections where she states, “[a]ren’t we all pilgrims in our own lives, checking in / to the small hotel of the body, paying the tariff / unpacking our valises? How we forget the body / is a field of stars” (15). Les Fauves, which translates as “the wild beasts,” was an artistic movement ushered in by Henri Matisse, Van Gogh, Derain, and other early 20th century artists who rejected representational painting. Fauvist artists eschewed natural colors, instead relying on bold vibrant, colors and short, aggressive brush strokes. Blending her poetry into this artistic history, Crooker divides her lovely volume into four sections. The volume’s first and fourth sections are concerned with ekphrastic poems and reveling in the joie de vivre of Paris. “And isn’t this the color of happiness” (6)? The second and third sections are where Crooker plays with the musicality of words, forming monorhyme, abecedary, and anagram poems. Crooker recognizes depth even in the simplest and ordinary parts of a woman’s life. She wrests achingly tender moments from life and shares them: a daughter’s water has broken too early, premature newborns are thriving in the NICU (42), a husband’s body warmth is perfect comfort (52), and Jesus philosophizes that eating peach pie on a front porch is a living work of art often overlooked: “Why are you still going on about sin / and salvation… when you have all this / right here, right now?” (23). let it be tactile, tangible, something I can eat with a spoon. all the sweetness while I can. (62). In Les Fauves, the reader is reminded that this life is fragile and full of tenuous and devastating beauty that we must notice because “The sky is full of ashes of roses: / parentheses, ellipses, things we hold onto, / even as they slip away” (71). 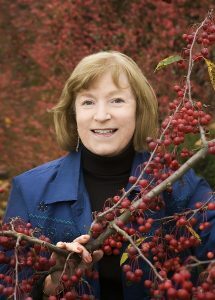 Barbara Ellen Sorensen is a poet and writer. She contributes to the Tribal College Journal and has two poetry publications: Song From the Deep Middle Brain (Main Street Rag, 2010) and Compositions of the Dead Playing Flutes (Able Muse Press, 2013).